﻿ Paladin Brewing - Ohio. Find It Here. An Independently-owned microbrewery upholding the characteristic traits of a Paladin and Craft Brewer by offering flavorful, high-quality brews, made with the purest ingredients. Tavern is Open W-F 4-10 Sat 2-10 with at least 16 beers on tap. 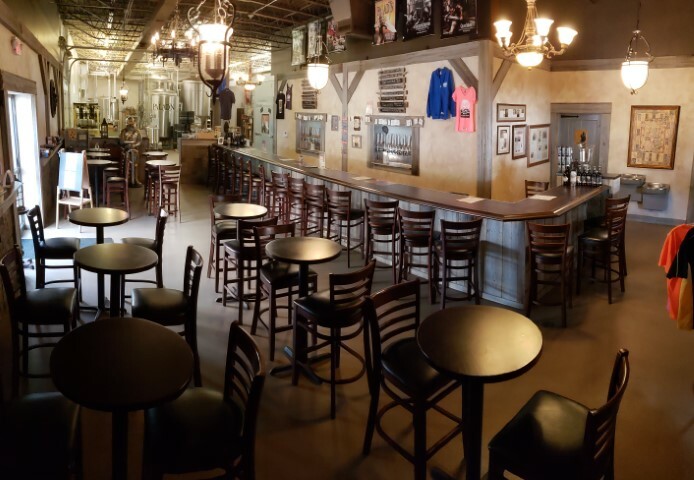 A dependable place to enjoy fresh hand-crafted beer in a tasteful atmosphere creating an experience worthy of sharing with friends.Paladin: noun, historical - 1. Paladin is a Class of warrior, fully devoted to kindness and ridding the Universe of Evil. They are very religious and have an extremely strict honor code. 2. A Heroic Champion; a Noble Knight. Craft Brewer: noun - 1. Class of Brewers devoted to a distinctive, individualistic approach to their craft. Independently owned and involved closely with their communities.